The International Faculty Partnership Seminars sponsored by the California State University through the Academic Council on International Programs (ACIP) are designed to provide international experiences for faculty of diverse disciplines from all CSU campuses. The mission of the CSU International Programs or CSU IP, a system-wide unit operating from within the CSU Chancellor's Office in Long Beach, is to develop intercultural communication skills and international understanding among CSU students and faculty. In order to increase opportunities for faculty, CSU IP has launched a series of seminars in collaboration with partners abroad, including a seminar at the University of Ghana in Accra, Ghana in Summer 2018. Also, planning is already underway for a seminar in Tübingen, Germany in 2020. Seminar themes are broadly based and comparative in nature. In addition to interacting with colleagues about the conference themes, participants will learn more about CSU IP and the experiences of students who participate. By holding seminars at host universities, CSU IP seeks to better acquaint CSU faculty with the opportunities available to their students. On the occasion of the centennial anniversary of the Treaty of Versailles, we remember the special historical relationship between France and America. The Treaty of Versailles was signed on June 28th, 1919 in the Hall of Mirrors of the Versailles Palace and was ratified in 1920, creating the League of Nations, a precursor to the United Nations in 1945 at the end of the Second World War. As we prepare to celebrate this symbolic event for our two nations in 2019, we have the pleasure of announcing the 2nd international conference organized conjointly by the MICEFA (Mission Interuniversitaire de Coordination des Echanges Franco-Américains) and CSU IP (California State University International Programs). CSU IP has been a pillar of the MICEFA's exchanges for over 30 years and this multi-university event will be the occasion for the members of the MICEFA to reflect and debate on the challenges that the world will face in the future. This event will take place between the 16th and the 21st of June 2019 in the cities of Paris, Versailles and Nanterre, France. The working language of this conference will be English. 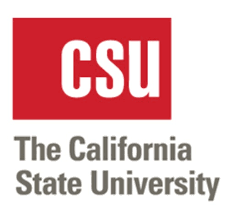 CSU IP is comprised of 23 Californian university campuses. Each year the MICEFA, a consortium of 15 member universities, sends between 15 to 30 exchange students who are welcomed by partner campuses in the CSU IP consortium. The International Faculty Partnership Seminar supported by the MICEFA will host this extraordinary meeting of interdisciplinary speakers to promote our long standing partnership. This seminar will present the academic opportunities and services available through MICEFA French member universities who in turn receive students from the CSU campuses every year. The theme for the 2019 seminar in Paris is “Shared visions and Divergent Realities: Imagination and Innovation Across the Continents.” In an increasingly polarized global community, we look towards dialogues of interconnectedness that allow us to examine issues and explore possible solutions. France and California share similar challenges of migration, managing diversity, climate change, sustainable energy, cultural identities, and an evolving marketplace. This conference will focus on interdisciplinary dialogues that address the above issues. To frame our discussions, the seminar will be structured along six tracks encompassing a wide range of disciplines. As part of the application, we will be asking CSU participants to indicate their choice of serving as a “presenter” or a “participant”. All sessions will include presenters from both California State Universities and MICEFA Member Universities (Paris and its region). Familiarize themselves with partner institutions. We kindly ask you to please circulate this announcement widely amongst your colleagues and students from all departments that might be interested in the topics that will be covered during this seminar. We are counting on you to make this an exceptional meeting of minds and we invite you to participate in the organization of this grand event.